Soon it’ll be even easier to stream games from your PC to your TV. Valve and Samsung announced during Steam Dev Days this week that future Samsung TVs will include the Steam Link hardware inside, as Steam Spy first reported—potentially the first of many such partnerships. It’s not the most exciting announcement, maybe. The unassuming Steam Link is only $50, making it by far the cheapest part of bringing PC games to your living room. It’s not running anything natively—just streaming the content from your high-end PC to the TV over your (hopefully robust) in-home network, then relaying your button presses back. So buying a Samsung TV to save…$50 and the cost of an HDMI cable? Not really a reason to rush right out and replace your current model. But hey, a few years back I would’ve said the same about the inclusion of Netflix in a TV. I could do it through my Xbox and a dozen other devices, so why bother? Nowadays I can’t imagine living without a Google Cast-ready TV. I’d wager the Steam Link is already the most successful part of Valve’s Steam Machine initiative, since its cheap price and small form factor made it easy to recommend. Embedding Steam Link in Samsung TVs puts the capability for PC-to-TV game streaming in people’s hands without any further effort on the part of the consumer, and that’s not to be underestimated. And of course, Valve makes out like a bandit in this. After all, once you’ve got Steam Link set up—well, you’re going to want one of those Steam Controllers too, right? That’s the hope, no doubt. 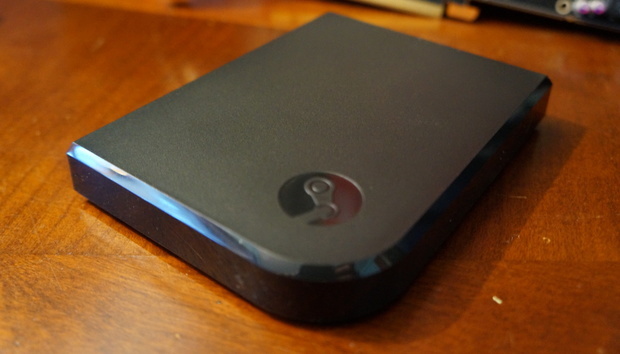 We’ll let you know if Steam Link starts to spread to other TV manufacturers. The PC might make it to the living room after all, even if it’s in a form we never suspected. Crowdsourcing Innovation: Raffaele Garofalo, Net Architectures ltd.